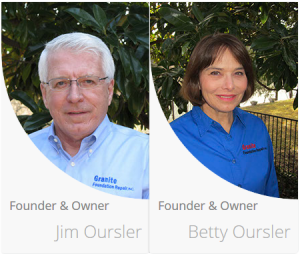 About Us - Granite Foundation Repair, Inc.
Betty and Jim Oursler founded Granite Foundation Repair with one goal in mind – to build a foundation repair company people could count on. This simple concept has helped us grow to be one of the most respected foundation contractors in Dallas and surrounding areas. We specialize in residential foundation repair, apartment foundation repair, commercial concrete slab and pier-and-beam foundations – and in taking care of our customers. With thousands of foundation contractors in the Dallas area, it is important to know that we have been around a long time and have an established history as a foundation contractor. Foundation problems can be alarming – but the Granite Team will take you through each step of the process and make it as worry-free (and affordable) as possible. From the initial, no-cost evaluation and estimate to our rock-solid, transferable warranties, all of our services are designed to protect your home or business from further damage and to give you peace of mind. In Texas, there is no license required to become a foundation contractor. Despite some effort by various organizations to require a license to operate as a foundation contractor, currently, anyone can start a foundation repair business and begin making foundation repairs. Our owner, Jim, is an engineering graduate from Purdue and has well over ten years in the foundation industry. So, don’t select just anyone to repair your foundation, make sure it is a reputable company with plenty of references. You can view a page we created for interviewing a foundation repair contractor. What Sets Us Apart from other Foundation Contractors? Unlike many foundation contractors, Granite Foundation Repair recommends exactly what is required to fix your foundation problem right the first time. We find that nearly a third of the homes we inspect don’t need any repairs at all – and if that’s the case, we’ll tell you right up front. For many people, your home or business is your single largest investment. What could be more important? That’s why the Granite team works so hard to ensure your complete satisfaction. Don’t just take our word for it – check out our reviews online and see what other homeowners have to say about our service as a foundation contractor. 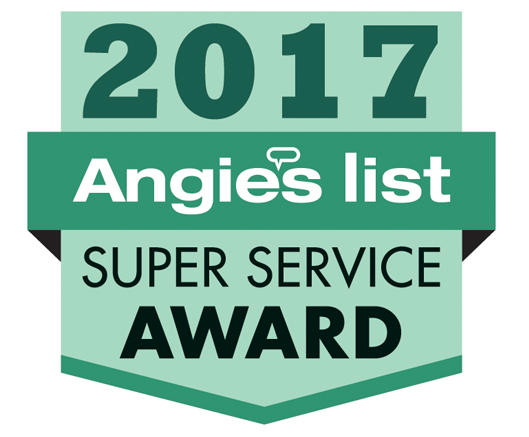 As merit for our dedication to professional excellence, we’ve earned an A+ BBB rating as well as multiple Angie’s List Super Service Awards. Nobody likes dealing with a foundation problem – but if you’re faced with one, it’s nice to know there’s a solution that’s affordable, convenient and efficient. Granite Foundation Repair minimizes the disruption to your home and business continuity by completing most installations in 1-3 days. If things seem a little out of balance, call the foundation repair company you can count on. Call Granite Foundation Repair today!